Building relationships is what we are all about! We have a variety of different places where you can meet different people from our community, find out what we are all about, and build in your relationship with God. Whether church is a new thing for you or you're looking to grow in your relationship with God and others, we have a collection of material that we would encourage you to take a look through. Feel free to click on any of the pictures below. Growth Tracks is a catalyst to help you become a fully-devoted follower of Jesus Christ. This four course track offers the tools necessary to make this happen in your life. From the initial decision to accept Jesus as your Lord to your destination in life-changing ministry, we will lead you step-by-step from healing to growth and into a fulfilling leadership role. The Growth Track course runs for four consecutive weeks. Hear the story of Soul Sanctuary and learn more about our vision and values, our governance, leadership and more. In this class we will share some practical tools that you can use to grow in your relationship with God. This class is pivotal for those beginning a relationship with Jesus Christ. God created you with specific gifts and a particular purpose in mind. In this course we plan to look at the way we influence people. This class will begin to help you discover that purpose and start living out your calling. Click below to find details for our next Growth Tracks courses. Our hope at Soul Sanctuary is for every person who walks through our doorway to experience genuine community with others. One of the main ways we work toward this goal is to connect people in life groups. Life groups are the place where we fulfill the kind of “togetherness” God calls Christians to live. Every life group has its own flavour, but the same themes underpin each one. We eat together. We discuss our faith, study scripture together, and live as disciples of Jesus. We pray for each other. We befriend, care for, and watch out for each other. And together we reach out to love and serve our communities. Do you get excited about helping people far from God and teaching them how to follow Jesus step by step? Life Groups are a great opportunity for people to grow in relationships and identify their next steps together. Group leaders are willing to go first in leading conversation and taking next step. Thank you! We will connect with you soon about leading a life group! There are many opportunities to serve at Soul Sanctuary. We want you to find the one that best suits your passion, personality, and availability. If you consider Soul Sanctuary your home church, choose an area to get involved and fill out the form below. Help children experience Jesus on their level. Serve kids from infancy to grade 5 in a safe, clean, and fun environment. Help create welcoming environments for every guest at Soul Sanctuary. Every first impression makes a huge impact from coffee, greeting, set-up and hosting! 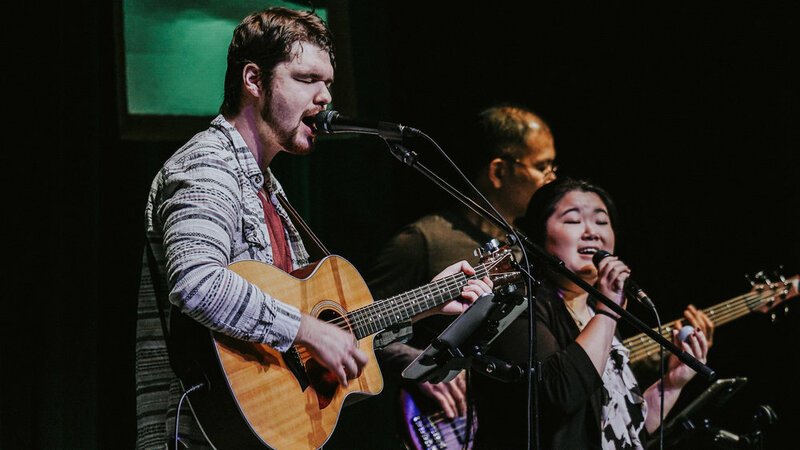 Help provide excellent and engaging gatherings with musical talents and abilities. Help create and display multiple forms of media ranging from photography, videography, lighting, and more!